Sokoban is a simple top-down puzzle game where you can push and only push a box or boxes on a gridded playing field with the goal of getting all the boxes onto their targets. It can make some delightfully simple and some delightfully mind-twisting puzzles, so there’s a lot of space to create a difficulty ramp over a series of levels. I lifted this idea from a thread at TIGForums, and had students create Sokoban levels in the Flash editor linked there. They didn’t really enjoy it. 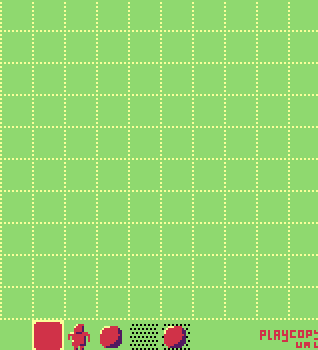 So I recreated Sokoban in GameMaker, an engine we teach. They still didn’t really enjoy making these levels. And then – during a run of one of my Game Design 2 classes – lightning struck. Student Albert Ramos made a puzzle platformer called ‘The Great Door Escape.’ There were spikes and simple enemies, a key to find, a door to unlock, and the core mechanic: dropping blocks to solve platforming puzzles. Simple and fun. This game was promoted to a team project (the students vote on which games to turn into team projects for further development) as a good, solid game to take into 3D with Unity. We weren’t teaching Unity, so a game like this was a good choice. It was interesting to see how even students who weren’t totally comfortable learning the new engine were able to make levels for it. 2) ‘The Great Door Escape’ was fun to make levels for. So before my Level Design class ran again, I set myself the task of learning Unity by rebuilding ‘The Great Door Escape’ from the ground up. Within a matter of days I had the core gameplay re-implemented. Within a matter of weeks I had the ‘art’ and the lessons around building levels created. 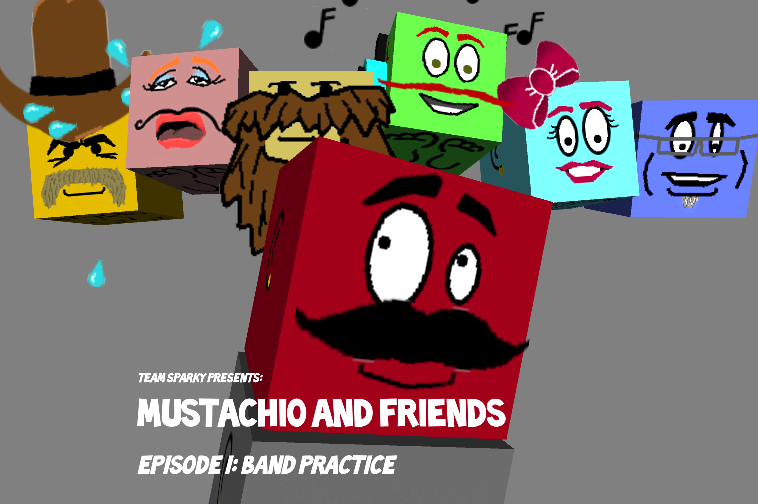 ‘Mustachio and Friends’ was born. We actually started, as you do, with Episode IV. Each class would create a pack of levels for this common game. To tease out different kinds of levels from students, I invented friends for the main character (now named Mustachio). These friends lived in different worlds that Mustachio would visit. Each world introduced new gameplay elements and concepts. There was an open and easy world meant to teach the basics. A cramped subterranean world with lava and stalactites focusing on precision moves. An adrenalin-rush-never-stop-moving-to-breathe-or-think world. A world of intricate puzzles and hazards requiring patience and thought. A world of verticality and falling. And a world meant for the most challenging levels of all where Mustachio might encounter anything at all from the other worlds. As level designers for Mustachio and Friends, student levels must adhere to a set of fixed specifications about the gameplay (block placement has to be ‘on the grid,’ only one key per level, only one door per level, stick to the world theme, etc). My students frequently want to add things to the game. For their official levels, the answer is ‘no,’ the idea being that as level designers, their job is to take and play with what exists. They are allowed to mod the game any way they like on their own so long as the official levels are in on time. I did eventually relent on moving platforms and added those to the base game. There’s actually code still in place that allows Mustachio to throw his mustache like a boomerang, a mechanic I toyed with and discarded early on. I left it out because one of the other important lessons of Mustachio is that adding mechanics – however amusing and cool – isn’t always (or even often) the answer. Mustachio is a simple, satisfying, and fun game that with a very straightforward set of mechanics that can span a vast range of difficulty all the way from ‘duh’ to ‘diabolic.’ There have been hundreds upon hundreds of these levels over the years and every time the class runs, students surprise me with new twists on these simple mechanics. It’s been a very successful experiment, and one that I took in a different though similar direction with a game I created for a level design class at USC. Next time: Games for Class Part II: Photonica.